Our Sanctuary was designed by Hobart Upjohn in 1917 and built by Walter Trumbull in 1918. St. Barnabas Episcopal Church is a contributing building to the National Trust for Historic Preservation designation for Norwich Village. Lani Carney, founder of the Children's Art Studio in Norwich, led children as they examined the shapes of the neo-Gothic building and the mystery and simplicity of the labyrinth to find inspiration for artistic expression. 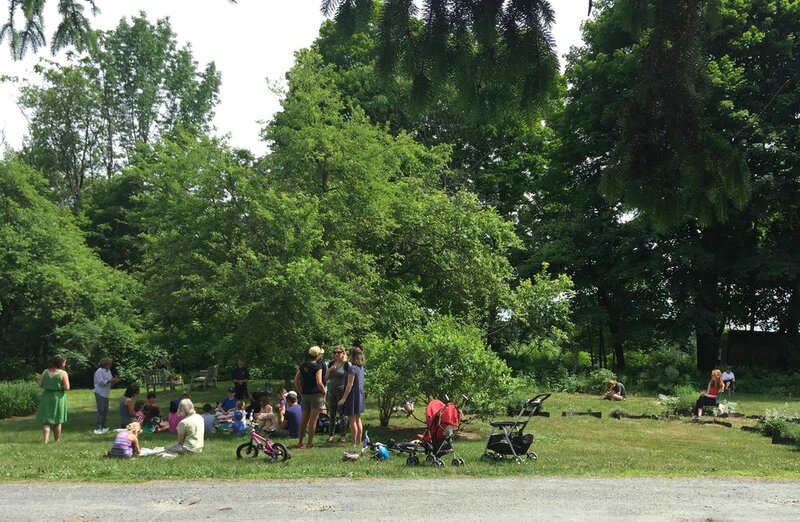 This free event was held on June 16, 2018 at 1:30 PM at the church. Concurrent with the children's art program, David Macaulay led as many as 50 aspiring sketchers exploring the details of the historic building. How can sketching help us observe the world around us better? This free event was a free held in the sanctuary of the church at 1:30 on Saturday June 16, 2018. Choral music with musicians from Wrensong brought a time of reflection. Lester Gibbs, the church organist and Aaron Richter, played the 1883 Steere and Turner tracker-action organ. Harp therapist Pat Stebbins played soothing melodies and Richard Adams joined with his violin. Meredith Felde sang an aria accompanied by her mother, Anne Felde. 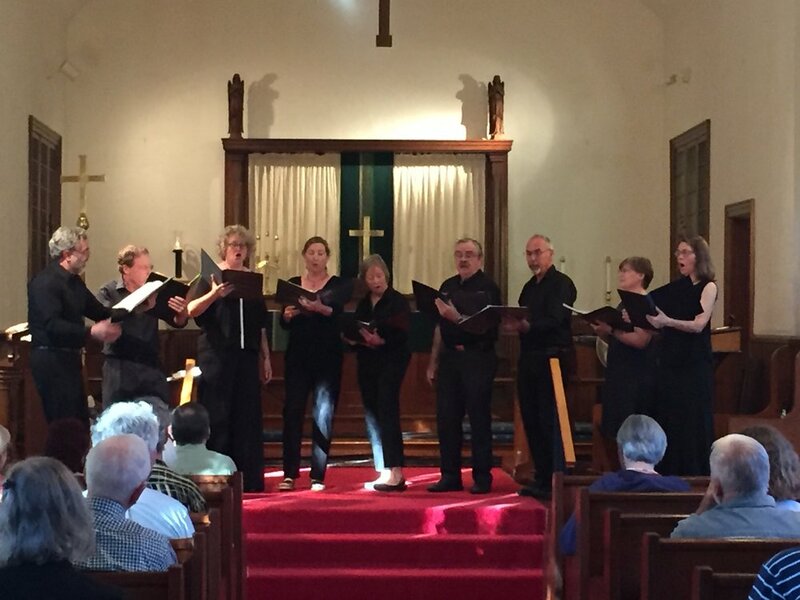 The concert was free and open to the community. At 10:00 AM on Sunday June 17 we will have a festive worship service followed by a reception. All are welcome. A new cross adorns our steeple. the previous one was broken during Hurricane Irene in 2011.